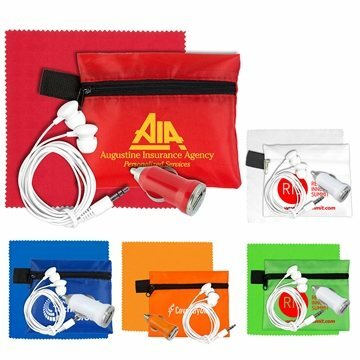 Includes white headphone earphones,matching USB Car Charger,matching color 6"x6" Microfiber Cleaning Cloth and matching color zipper pouch. They looked great! These were popular at our expo. The price was good and the customer service Veronica gave was great.